Facing an electrical problem in your home? It’s imperative that you avoid trying to fix this problem on your own. Usually, homeowners try to solve electrical problems on their own because they feel that it’ll help them save money. What they don’t realize is that doing so often leads to electrical malfunction. This can have dire consequences. Research has shown that between 2010 and 2014, the fire department reported 45,210 home structure fires. Most of these incidents occurred because of electric malfunction or failure. These fires led to around 420 civilian deaths. Here’s why you should leave the job to the professionals. You need to have knowledge about residential electrical wiring in order to fix electrical problems in your home. Some basic details you need to know include wiring color codes, etc. Furthermore, the National Electric Code gives details regarding standard practices pertaining to efficiency and safety of electric wiring in your home. Trying to fix electrical problems without the knowledge of electric codes can lead to severe consequences. You may even lose your insurance in case of an accident. Dealing with electricity is dangerous especially if you don’t have proper training and equipment and you’ll only create bigger problems for yourself if you don’t know what you are doing. A professional electrician, on the other hand, is trained for this job. They have extensive knowledge of wire colors and electric codes. Furthermore, they have the tools needed to fix all kinds of electrical problems. In case of problems with electrical wiring, you can end up causing damage to electrical appliances. Sometimes the damage is so extensive that you have no other choice but to replace the appliances altogether. This increases your overall costs significantly. You can prevent that from happening by leaving the job in the hands of professionals. 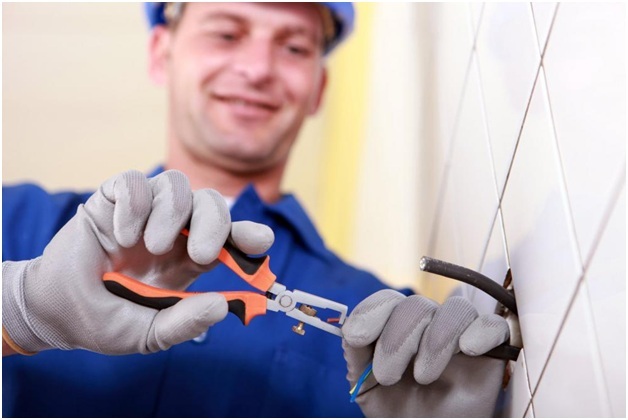 Most electricians offer guarantees for their services therefore, if you face any problems in the future, you can contact them and get the issue fixed. Sometimes a simple problem is actually an indication of a more serious issue. For example, something as simple as a flickering light can be an indication that there’s a problem with voltage distribution in your home. Of course, only an expert electrician will be able to properly diagnose something like that. This is why if you face electrical problems in your home, you should get in touch with us. We offer electrician services in Cypress, Texas. You can contact us at +1 832 948 6019 for details.